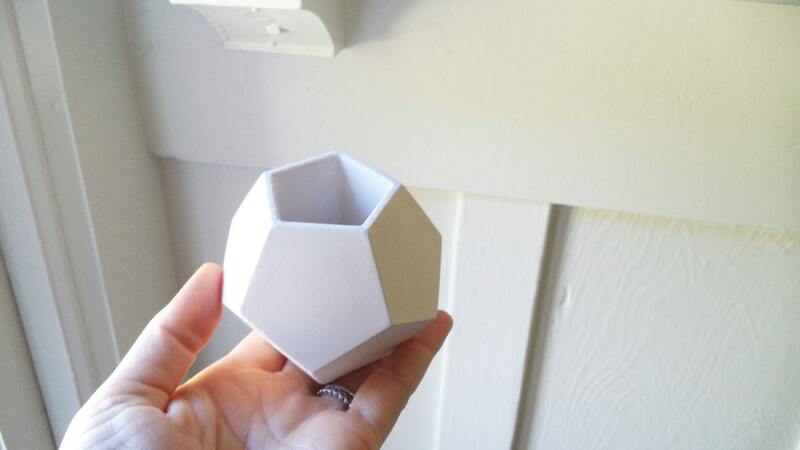 This dodecahedron measures 3" x 3". Opening for plant measures 1.5"
I make each one from scratch, cast in gypsum plaster... mixed, poured, cast, cleaned, oven dried, sanded, cleaned again, primed and painted! 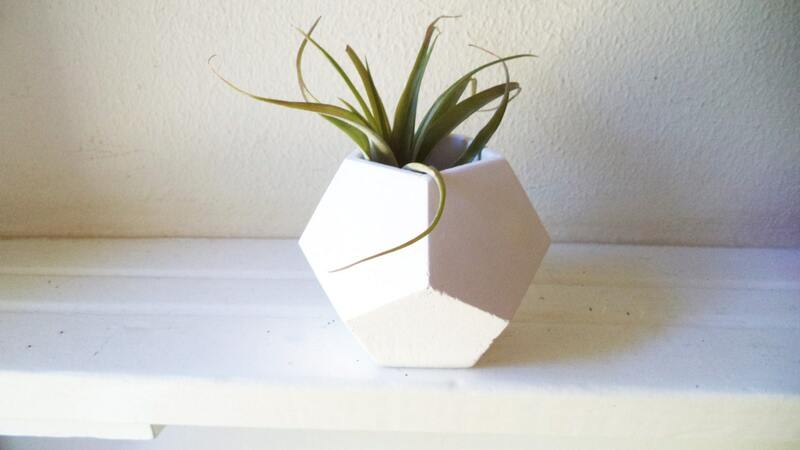 Comes with an air plant and care instructions! 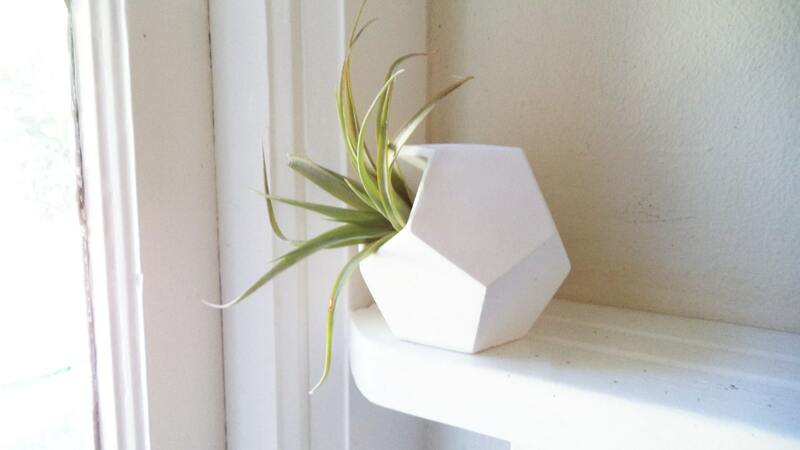 Perfect pop of modern simplicity for any nook, cranny , office space ect. 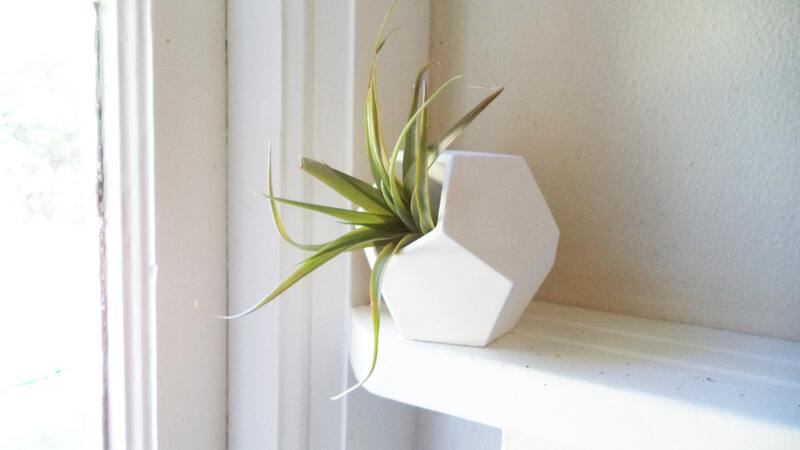 *Opening for plant will measure 1.5"
Love this pot and air plant! I love the gold finish on this planter. Note that, as a handmade item, the finish is not uniform and (at least on mine) is visibly imperfect. Given the many sides this planter has, it is easy to display it so that the most uniform sides are visible (if that is important to you).